An addon for Immersive Engineering. Some features, like the EU-transmitting IE-style wires the mod is named after, will only be enabled if IC2 is installed. 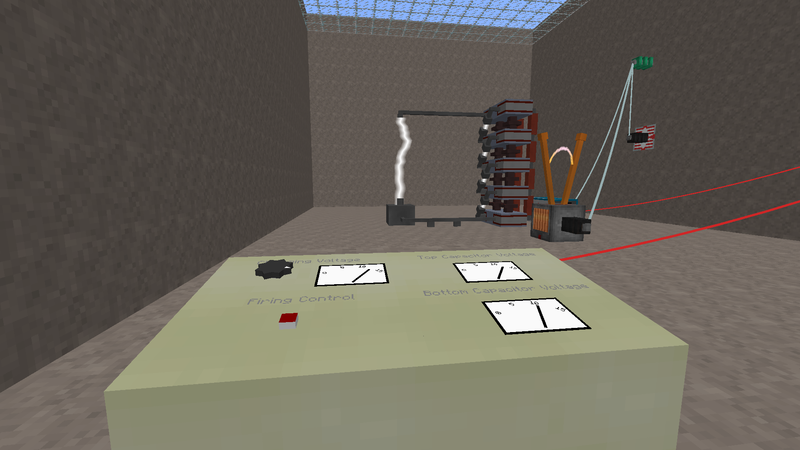 All devices added by IndustrialWires can run of IC2 EU as well as ForgeEnergy/RF. Marx generators. Ore processing using lightning/high voltage. You need to do a little bit of math to use it for that, but you can still use it to kill things/people without doing any! The textures and models are partially modified IE resources and partially made by C8H8O4 or me. 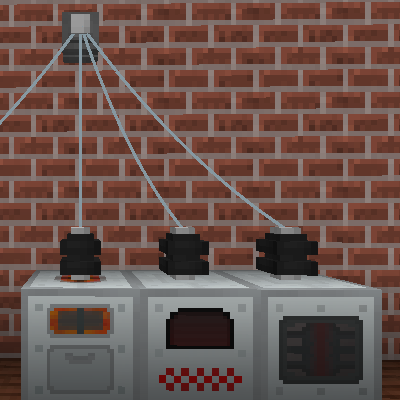 Personally I would like a way to make the recipes selectable from NEI/JEI just like the rest of the wires/connectors/relays exc. Please tell me I am missing something as I cant find it in the config file. Tell me how to change this please. Novelty wheres off quickly and becomes frustration. Thanks for the Mod, I know how little appreciation you guys get for all the free time spent making these great additions. In 1.7.10, Immersive Engineering already supports IC2 power (I confirmed it in the GitHub source code), meaning the "unification" part of this mod is only useful for 1.8 and beyond. Thx for fixing the Marx, but the new 1.7-33 build with the fix crashes while loading. Error: net.minecraftforge.fml.common.LoaderExceptionModCrash: Caught exception from Industrial Wires (industrialwires)"
For anyone who is reading this but not the Github issue: This is fixed now, I messed up when building the release. I replaced the old release 1.7-33 with a new, fixed one. There seems to be a bug with the mechanical multiblock, or im doing smth wrong. This means that it is not possible to store energy over time in them. Even when up to 200 radians (billions of energy on this setup) after a few hours its all gone, the blocks stop rotating. Sometimes when they run our of energy and stand still for a while or are unloaded, when supplying energy again, they wont start. I have not found a way to get them going in these cases. I had to break one them and combine which leads me to the last issue: Increasing the amount of measurable speed on the speedometer is PAINFUL, if you like me require LARGE amounts of storage and need speeds of 300+ and youre using 10 of these multiblocks then it takes 10 minutes of rightclicking to set these up. Maybe a shift/ctrl+right click to increase by 10/100 would be nice. Is there any documentation/information on the multiblocks in the internet? I have not found anything. 2. That is not intended. If you find some way of reproducing the issue with any reasonable chance of "success" it would be great if you could open a report about it on GitHub. The multiblock energy code is quite convoluted (partially because I spent a semester fixing bugs in it in my free time) so it is quite possible that there are some corner cases I didn't think about. 1. Does that mean it is intended to have large multiblocks that can store billions lose ALL energy after a few hours? that renders everything past 1-2 flywheels obsolete as a storage option. That would be very unfortunate as I think theyre the coolest large energy storage out there: EnderIO large multiblocks (500+) are lagging the server, rftools same, draconic evolution (the energy core crashed our server lately) is just unusably ugly, same goes for thermal dynamics (these also lag the server in large amounts). The only option I have found usable so far are the gargantuan storage blocks from flux networks. But these are not my first choice at all. I need LARGE amounts of storage for my nuclear power plant running at 238kRF/t. 2. I will try to replicate this (Im a professional software tester) but so far it has been random, will try though. 3. Yes, that would be very handy (especially for testing). Are you planning to add some kind of painting tool for Control panels? I don't know what you mean by "painting tool". I currently don't have any new plans for the control panels, but if you could describe what your "painting tool" would do and I like the idea I might add it (assuming I find time to work on it). I mean tool what can change (colour , texture) of control panel look or add ability to make it from any block in game. for example your panels are similar to this one Control panel ,but his can be made from any block in game. Is the Marx broke, or just my bumbling? Generator is successfully built and powered. Successfully built control panel and configured exactly as the manual and your tutorial. Generator will successfully empty test fire, and will kill mobs and players, but will not destroy ores of any type regardless of settings. The "spark" simply passes directly through placed blocks, then the machine re-charges. Tried the "discharge meter with aluminum wire as shown in your video, but the wire will not "burn" upon discharge, and the "meter block" displays nothing, as if it were still freshly placed. I have stripped Minecraft down to only IC2, IE, and Industrial Wires; absolute bare minimum to get "Wires" to run. Any suggestions?